In December, movie and TV fans were understandably conflicted over the news that Disney had decided to buy a big chunk of 21st Century Fox—including its movie and TV studios—for $52.4 billion. On the one hand, the deal meant that the X-Men could someday get beat up by the Avengers in a big movie event, but on the other hand, it meant that Disney was one step closer to controlling all media. However, an unlikely savior may have just appeared in the form of cable monstrosity Comcast, which The Wall Street Journal says still might be trying to take over Fox. Before Fox accepted Disney’s offer (which has yet to be officially approved), Comcast had reportedly tried to buy it out for something “in the low-$60 billions”—which was higher than Disney’s bid. 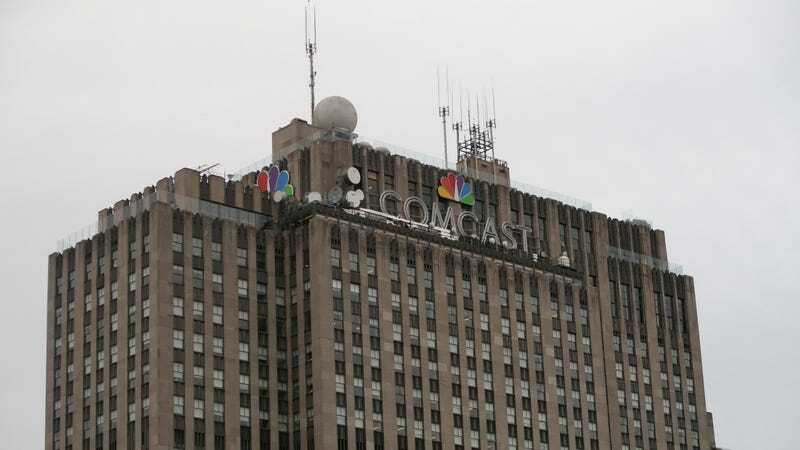 Fox was reportedly concerned that the government would make a stink about Comcast taking over another big media company, so it didn’t seriously consider that $60 billion offer, but Comcast may think it’ll have better odds if it simply keeps trying. The WSJ says that Comcast is also keeping an eye on the proposed merger between AT&T and Time Warner, since Fox’s worries about Comcast may be unwarranted if the government approves that buyout. It might not, though, since that deal is currently on an indefinite hold supposedly because the Trump administration is trying to use it as an excuse to force AT&T to sell CNN as part of a certain whispy-haired jackass’ continued vendetta against the American press. Comcast hasn’t said if it really is still interested in buying Fox, so this is just a rumor, but it means we shouldn’t start lining up for that Avengers Vs. X-Men movie just yet. Giant companies becoming even bigger! Hooray!